to speak to one of the team. 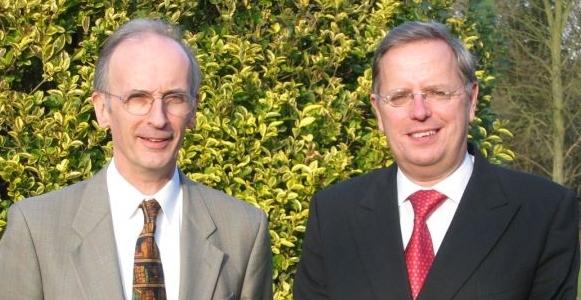 Ian Clarke and Steve Westall are the founders of Pansophix. Ian is based in Felixstowe, Suffolk, UK and Steve is based in Chelmsford, Essex, UK. He has designed and uses his own 360 Feedback Processes, Culture Surveys and Team Reviews and has developed a number of effective tools to help team leaders create more effective teams and manage change. He is the author of A Useful Guide to Effective Change and A Useful Guide to Managing Teams, and joint author of A Useful Guide to Managing Meetings and A Useful Guide to Minute Taking. Edward De Bono's Six Thinking Hats. Ian has a BSc with Honours in Physics and a Post Graduate Certificate in Education. Steve - is a Fellow of the Chartered Institute of Management Accountants (FCMA) and has been an independent financial analyst, trainer and coach since April 2001 after a long and varied career as a senior manager in BT (30 years). Business Management including Business Case Frameworks, Balanced Scorecards and the wide range of business metrics. Delivering business coaching and executive coaching (If you are interested in finding out more information regarding business coaching or executive coaching, visit our sister company the Business Learning Foundation by going to www.the-blf.co.uk or clicking on the logo at the top right hand side of the page). Steve's clients have predominantly been Large Corporate (FTSE 250) companies and organisations within the Government Sector. He is the joint author of A Useful Guide to Managing Meetings, A Useful Guide to Minute Taking and A Useful Guide to Networking. Our Company Registration Number is 5168021. Our VAT Registration Number is 840 1369 49. Our Public Liability and Professional Indemnity insurance is with Hiscox. Our Data Protection Act Registration Number is Z1605959.